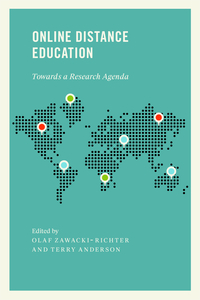 Online Distance Education: Towards a Research Agenda provides a systematic overview of the major issues, trends, and areas of priority in online distance education research. In each chapter an international expert or team of experts provides an overview of one relevant issue in online distance education, discussing theoretical insights that guide the research, summarizing major research on the topic, posing questions and directions for future research, and discussing the implications for distance education practice as a whole. Intended as a primary reference and guide for distance educators, researchers, and policymakers, Online Distance Education takes care to address aspects of distance education practice that until now have often been marginalized, including issues of cost and economics, social justice implications, cultural impacts, faculty professional development, and the management and growth of learner communities. At once soundly empirical and thoughtfully reflective, yet also forward-looking and open to new approaches to online and distance teaching, this text is a solid resource for researchers in a rapidly expanding discipline. 1 Internationalization and Concepts of Social Justice: What Is to Be Done?